Going solar with little or no money down! Our sun is the most abundant energy resource on the planet earth. Even on cloudy days, the sun never fails to deliver! Solar technology has greatly evolved over the last decade, and is more accessible now than ever. Solar panels have reduced in cost by 80% between 2009 and 2013-and with new models of financing such as leasing and solar power purchase agreements (solar PPAs); many people can now afford to go solar. Solar is now more affordable than it was a decade ago and about 1 million households have already gone solar in the USA. Many home and business owners lack the cash required to install a solar system, but buying or leasing a solar system is no longer your only option! Allow me to guide you through the most popular option home and business owners are turning to to transition to solar—the Solar Power-Purchase Agreement (SPPA), a cost-effective financing option. Here’s to helping the world go green and clean! The government alone cannot fight climate change, which is why many home and business owners are exploring the ways in which they can contribute to clean energy—with solar power being at the top of the list. Solar power has become so affordable, that many solar companies are willing to install panels on your home or business with little or no money down—allowing you to lease the panels on a monthly basis. But why lease, when you can install an SPPA with no money down? A SPPA allows home and business owners to the solar system they desire, for $0 down—opposed to paying as much as $30,000 to install. Unlike a lease, with a SPPA you agree to purchase the electricity the new solar system generates. So yes, you still pay an electric bill each month—but this cost will be less than your current energy bill. In many cases, significantly less. Unlike purchasing your own solar system upfront, your PPA company installs and maintains the system at no cost to you—not that much maintenance is required. The term for a SPPA is anywhere from 6 to 30 years, at which point you can sign a new SPPA agreement—or you can chose to purchase the system at the end of your initial term. Since many states offer economic incentives for residential solar, an SPPA is an excellent option for home or business owners that may not have any cash upfront to go solar. Whether you own a home or a business, the benefits of going solar are many! Below are some of the most common questions asked when going solar. 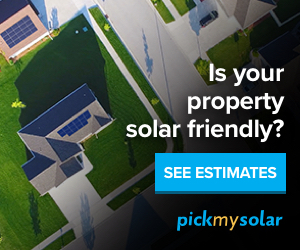 Will going solar increase my property value? Yes! While every real estate market is different, and property values are in constant flux—it is estimated that you will increase you property value by $20 for every $1 reduction in annual utility bills. This answer varies dependent upon the size of your home or business, as well as your average energy consumption. The good news is, your SPPA provider will assess your home or business, to determine the number of panels required—as well as placement. All at no cost to you! Do solar panels work when it is cloudy out? Yes! Whether it is cloudy, foggy, raining, or snowing—your solar panels will continue to generate energy. No, even with solar panels you will not have power during an outage. This is primarily for safety reasons so that workers are not injured when making repairs to the electricity grid. Are solar panels safe for my roof? Yes! Solar panels are actually mounted on a railing system, and are not installed directly to your roof. In fact, the panels add a layer of protection to the area of your roof they are mounted on. How much money will I save each month by going solar? Savings will vary, but the average home or business owner saves around $34 dollars each month. While that may not sound like much, that is $408 a year—and $12,340 over a 30 year term. Not to mention the immeasurable good you will be doing for the environment. Is SPPA really $0 money down? Yes! You can enjoy all of the green and clean benefits of a solar energy system for zero money down. If you are going to have to pay for electricity anyway, why not pay for clean energy instead?